Just because Mother’s Day has come and gone and Father’s Day is around the corner, we can’t lose sight of the many women who play the part of both parents at home. According to the 2016 census, 23% of families with children under 18 are single-mother households, and out of the 11 million single-parent households, 8.5 million of those are led by moms. I know that balancing work and family can be difficult for any parent, but for single mothers trying to be there for their children while earning enough money to provide for her household, balancing both responsibilities is even more of a challenge. Luckily, there are many nonprofits around the country that provide help and guidance for moms doing it all on their own. Here are four organizations that do everything they can to improve the lives of single moms on a local and national scale. For over 30 years, Women’s Banking Worldwide has helped millions of low-income women around the world gain access to the products and services they need to become financially literate, independent, and responsible. With a network of 49 financial institutions within 32 countries, Women’s Banking Worldwide develops means through which women can set up and use saving and checking accounts, receive health microinsurance as well as loans for their entrepreneurial endeavors. The organization’s ultimate goal is to give women the opportunity to build a financial safety net that is easy to use, convenient, and conducive to a successful economic future. And through conducting thorough market research, they are able to evolve their products and create new ones that fit the needs of women today. Paid Family Leave is a hot topic and for a single working mother, having the ability to stay home and care for their sick child without having to dive into her savings account makes a big difference not just for the child, but for her as well. That’s just one of the many issues that National Partnership for Women & Families is fighting for. The organization is a heavy lifter when it comes to campaigning for more substantial health care coverage including workplace benefits like paid sick leave, eliminating the gender pay gap and ending discrimination against pregnant women and new moms in the office. With a team of policy experts and attorneys, the nonprofit goes directly to the government to improve the lives of women, children, and families. No child should have to compromise their health because of their economic status and no mother should have to sit by and watch as her child stays sick because she can’t afford to pay for a visit to the doctor or take off time from work. That’s when Children’s Health Fund goes to work. With 53 mobile pediatric medical centers operating throughout the country serving 290,000 individuals each year, the Blue Busses bring the doctor’s office and the experts to the young patients. Children’s Health Fund also provides support to pregnant women and mothers through a group care program, giving mothers the opportunity to bond with other mothers while doctors provide checkups to their children from birth to 18 months. For single mothers, having the ability to form a support group outside of a traditional family structure can make everything much easier. I wouldn’t be fulfilling my role of “proud mother” if I didn’t mention my daughter, Lauren Bush Lauren’s nonprofit FEED. In 2007, Lauren’s travels as a World Food Programme (WFP) Honorary Spokesperson led her to see the impact of malnutrition on a global scale. Determined to find a solution, she founded an organization dedicated to alleviating hunger in the United States, parts of Latin America, Africa, and the Middle East. Through the sale of specially designed (not to mention stylish) accessories like bags, jewelry, tees, and scarves, FEED is able to provide healthy and satisfying school meals, locally sourced ingredients, and crucial vitamins and micronutrient powders to households around the world. With a special focus on new mothers and mothers-to-be, Lauren’s organization keeps these women strong and energized so they can care for their families. The important thing to remember is that if you’re a single mother, you’re not alone. There are organizations and individuals who have your back, even if you’ve never met them. Just wanted to give an update on some things that I’ve been working on. A couple of months ago, I started a new project as a Senior Development Officer for Cristo Rey Brooklyn High School. Cristo Rey Brooklyn is a Catholic high school that educates young people of limited economic means and all religions to become men and women of faith, purpose and service. By offering a rigorous curriculum, a unique work-study experience and the support of an inclusive school community we prepare our students to successfully complete college and enter the world with the values essential to a fulfilling life. Our record to date is 100% placement of our graduates into college and universities throughout the country. Even more impressively, every one of our graduates the past two years has received acceptance into at least one four year college with full financial need met! Cristo Rey’s innovative Corporate Work Study Program (CWSP) enables students to earn up to half of the cost of their college preparatory education while gaining valuable real-work experience through their immersion in entry-level positions at leading corporations and nonprofit organizations across New York City. To have a greater appreciation of the work-study program click here for a short concise YouTube video. It is my hope that you will give serious consideration to contributing funding to sustain what I believe is one of the most important educational initiatives in the country. The Cristo Rey Network currently operates 32 schools nationally and is the largest network of schools exclusively serving low income students and families in the country. The vision of Cristo Rey is to uplift urban youth and enable them to gain real-world work experience and a college education. If you’re in a giving mood this season, please reach out to me to coordinate a gift or donation! Education is more important than ever these days, and empowering children who don’t have equal opportunities is something I care passionately about and look to improve. Aside from my work life, I’ve also been doing a bit of writing and blogging on my own, mostly based on my experiences as a mother of three beautiful and successful adults. I’m currently a contributing author at Huffington Post and Entrepreneur. Please feel free to give my articles a read if you’re interested in reading about my parenting techniques and female empowerment in the workplace. If you’re looking to find me elsewhere online connect with me on LinkedIn, follow me on Twitter, or like my Facebook page! I hope everyone has a fantastic February, and I send my best wishes to you and your family for the upcoming year! When you think of “New York City”, what do you think of? Many would call the urban jungle an epicenter of culture, a pioneer for the global marketplace, and a champion of culinary achievement. But would any of us call New York City a leader in sustainability? Think of the congestion of traffic at rush hour, the over-saturation of trash on the city streets, and the dearth of recycling initiatives. Compared to a more sustainable city like Tokyo (recently named the “Greenest City in Asia”), New York certainly has ground to cover before it’s considered eco-friendly. At the same time, New York has launched and is launching a slew of initiatives to try to catch up. Let’s take a look at what is on the horizon for New York’s environmental movement, and how these programs are faring. As New York resident, I’ve had the opportunity to experience several sustainable efforts NYC. Recently, I’ve been enjoying frequent school field trips to the Botanical Gardens, the Bronx Zoo, and even learned all there is about The River Project this past October. Sustainable efforts are being taken all over the city. Just last November, the Hotel Association of New York City awarded seven NYC hotels for promoting and practicing sustainable hospitality initiatives. The NYC Department of Education not only talks the talk but walks the walk, aiming for zero waste by 2030 as well as promoting education awareness and management to schools. It’s also on the forefront of the political scene. Achieving the status of “sustainable” has been on the agenda of government officials in New York for the last decade. Between former Mayor Bloomberg’s roll out of PlaNYC in 2007, Mayor de Blasio’s announcement of OneNYC in 2015, and recently Governor Cuomo’s host of the regional sustainable development conference this past September, we’ve seen a concerted effort from our governmental bodies. But how are these efforts holding up? Let’s examine two of the biggest initiatives, PlaNYC and OneNYC. Bloomberg’s plan to implement PlaNYC began in 2007, and focused on 10 areas of interest. Each area aimed to help environmentally sustain NYC for the projected surge of 1 million new residents by the year 2030. The plan also called to reduce greenhouse gas emissions by 30% by 2030. Several successful initiatives have come out of the plan. According to a 2011 PlaNYC update, 97% of the 127 proposed initiatives were accomplished in the first year, making it wildly successful in its execution. One successful initiative, the renovation of Freshkills Park, the world’s former largest landfall in Staten Island, is projected to be three times the size of Central Park. It’s always good to see politicians successfully delivering on promises, but it hasn’t been all smooth sailing. Not all of efforts made through Bloomberg’s PlaNYC were without criticism. In April 2008, Bloomberg submitted a costly proposal of congestion pricing, creating an $8 charge on cars entering the busiest part of Manhattan during peak hours. This was in an effort to discourage New Yorkers from contributing to car exhaust, but it was struck down in Albany. The overwhelming opposition came from a majority of NYC politicians calling those benefiting from the plan “elitists”. It’s unfortunate, as funds collected from congestion pricing would have gone towards supporting public transit availability and efficiency. Many of the criticisms of de Blasio’s OneNYC focus on the program’s lack of executables. Critics wonder how he is going to achieve his lofty ambitions in a city as complex as New York. Environmental justice groups, such as New York City Environmental Justice Alliance, support the vision, but they also note that it “lacks a genuine engagement of community involvement” and needs more actionable details. While New York might not be a paradigm of sustainability yet, these initiatives prove there is progress on the horizon. Support from government agencies, the Department of Education, and local businesses has put the city on the right track. But, as the Environmental Justice Alliance points out, community involvement is always at the heart of these movements. It will take support from all New Yorkers in order to make a green NYC a reality. Maybe all your children have left for college or left the family home for good to get married and build their own life. This is a big time of transition for many parents, and even more so for those who have always been very close to their children throughout their lives. It’s not uncommon to feel sad, anxious, and even depressed when your children leave. In fact, psychologists have a name for those feelings of loss you’re experiencing: Empty Nest Syndrome. Even though your children may be happy and in good health, busy moving on to the next chapter of their lives, you may be feeling anything but positive about the situation. In a nutshell, yes. Psychology Today defines it as, “feelings of depression, sadness and/or grief experienced by parents and caregivers after children come of age and leave their childhood homes.” In addition, parents with ‘boomerang kids’ — adult children between 25 and 34 years of age who are still living at home to save money or get back on their feet after a personal crisis — often experience the same symptoms. The experts at Family Health Psychiatric & Counseling Center, Pc in Michigan point out that about 30% of the 78 million baby boomers in America are about to be ‘empty nesters’ and many will be looking for support to help them through this difficult time. In an interview for TheScope University of Utah Health Sciences Radio, Dr. Kyle Bradford Jones explains the duality of emotions many parents experience as their kids grow up and then leave. You’re obviously excited for your kids to be moving forward in life and experiencing new things but you’re also experiencing negative emotions like grief, loneliness, or even depression, explains Dr. Jones. It’s normal to cry when your child leaves home and you may even find yourself feeling nostalgic when you see the child’s room or come across things or places that remind you of them. You might find it hard to watch your favorite shows you used to watch together as a family or you lose interest in cooking and daily activities since there’s no ‘family’ to cater to anymore. If you’re a single parent, the impact of having an empty home can be even more significant. While many parents can get hung up on the negative side of ‘losing’ their child and now living in an empty home, there are some benefits of this type of change in the household. Consider how having fewer people at home could reduce family conflicts. Married couples will have more quality time together and may be able to try new hobbies, spend more time with friends, or even travel. The pressure of having to take care of children — even adult children — is alleviated and parents can focus more on themselves. Still, if you’re having a hard time coping with changes, you can seek some support from close friends or even a counselor. For many parents, parenting is part of their identity so saying goodbye to a child affects the parent at a much deeper level. Try and stay positive and focus on the new activities you can enjoy now that you have more time to be on your own. You can still make an effort to stay in touch with your children with regular visits, phone calls, and even video calls so it feels like they are still at home. Just recognizing that Empty Nest Syndrome is a very real thing can make it easier to cope and accept that this is just another chapter of your life. According to psychologists, parents fall into one of four parenting styles — authoritative, uninvolved/neglectful, permissive, and authoritarian — that influence their children in dramatic ways. For instance, an uninvolved/neglectful parenting style can lead to a number of alarming consequences including children feeling lonely, having low self-esteem, and displaying a lack of self-control. In contrast, an authoritative parenting style is believed to be the most effective because children are guided by high expectations but receive ample support to develop independence. But as impactful as these parenting styles are on children, they also offer many potential insights into the personalities and upbringing of parents. Most uninvolved/neglectful parents are not uninvolved on purpose. While experts agree that the results of uninvolved/neglectful parenting are extremely harmful, they also acknowledge that many parents who fall into this style do not intend to do so. Some parents simply do get caught up in their own lives and fail to pay much attention to their children. However, many uninvolved parents are often raised by uninvolved parents themselves, which leads to the perpetuation of the style because they had no other role models to learn from. Additionally, some parents may be uninvolved because they are dealing with overwhelming problems like depression or exhaustion from overworking and do not see how hands-off they’ve become with their children. Authoritative parents are role models because their parents were role models to them. Parents with this style set high expectations for their children in order to teach them how to work independently and develop reasoning, which leads to children’s high self-esteem and self-confidence. Because parents set expectations, they also create rules, and children are disciplined fairly and consistently if the rules are broken. As part of a fair assessment of what sort of discipline to administer, these parents take many circumstances into account including the child’s general behavior. Their desire to encourage independence also makes authoritative parents flexible and opens them to listening to their children’s needs and wants. Authoritative parents usually display the same characteristics that they try to impart to their children and therefore serve as role models for them. Authoritarian parents want the best for their children but have trouble letting them develop independently. Like authoritative parents, authoritarian parents set high expectations and create many rules. However, unlike authoritative parents, authoritarian parents are not very nurturing and do not provide much positive or educational feedback. Authoritarian parents also do not consider different variables when deciding on a punishment if their rules are broken. Discipline by these parents is usually harsh and not in proportion to the infraction. It is also given without much explanation for the reasons behind it. Finally, as suggested by the style’s name, authoritarian parents do not give children many choices or options. Despite some potentially useful or telling information that may be gleaned about someone for his or her parenting style, this method of deduction has important limits. Someone’s parenting style may paint an incomplete picture of that person’s personality or upbringing because parenting styles are not set in stone. In many cases, they change over time, usually as parents enter different life stages of their children’s or their own lives. The same parent may also have a different style for each child, depending on that child’s specific needs or personality. Parenting styles can also change with some conscious effort from parents, so today’s permissive parent may be more authoritative tomorrow if he or she decides to work on changing certain behaviors. Getting three kids out of bed, dressed, and ready for the day can be one of your biggest challenges each morning and it’s easy to skip breakfast as a result. Make sure you plan for time at the kitchen table for a healthy breakfast so your kids have plenty of energy to get through their busy morning. Consider making breakfast before your kids get up so you have enough time to get things organized in the kitchen. If your kids are picky eaters, ask them what they want for breakfast the night before so there are no surprises and delays at the breakfast table. Making time for breakfast is also a great way to bond with your kids before they head out for the day. Working up a sweat together first thing in the morning can be a fun way to kick off the day. Exercising regularly is especially beneficial for kids who tend to stay indoors or are on the computer most of the day. Even though they may have play time and gym class at school, a quick 20 to 30-minute walk around the neighborhood or even a workout DVD that you can do together can be a great way to start the day. Exercise releases endorphins which can put everybody in a good mood and be consistent with your regimen will instill a healthy habit. When kids are feeling anxious, nervous, or agitated about school-related issues, be sure to address them during your quiet time together. Kids may need someone they can talk to about things they are going through at school so it’s important to make sure they know they can trust you in that time of need. Offer up a pep talk in the morning or spend some quality time with the kids after school so you can learn about any challenges they had during the day. Making time for your kids will help them adjust to any major changes. Helping them maintain a positive attitude and encouraging them to do their best will help them get through those stressful days with ease. If you have a hard time staying on schedule to catch the school bus each morning or make it out the front door on time, get into a routine where you set the alarm for the same wake up time every night. Make it part of your turndown routine so everybody understands they need to be up at a certain time and lights go out at the same time. A consistent sleep routine will make those mornings a little smoother and also keep everyone in a positive mood — compromised sleep can cause fatigue during the day and make it difficult to stay positive. Back to school shopping can be an event in itself and something that many parents don’t look forward to. The crowds, stores running out of back to school supplies, and the last-minute scramble to find some much-needed items on the shopping list can leave any parent burned out before the school year even begins. Be proactive and take care of back to school shopping at least three weeks before school starts. This way, you’ll have access to the full inventory of school supplies that stores are just bringing in and can even find many of these items online. Shopping online will save you a few trips to the store and also means everything will be shipped directly to your home at once. This can save you time and reduce stress. Back to school season can be a stressful time of year — especially for single parents — but there are some things you can do to make the transition a little less frustrating for everyone. Planning a morning workout, giving your kids a pep talk, and taking care of back to school shopping early in the season are just a few ways to keep your kids happy, healthy, and motivated as the new school year unfolds. Men are from Mars and women are from Venus, or so the saying goes. If that’s so, how do two interplanetary people co-parent children? Surely, their approaches to things like play and discipline will be different, informed not so much by the rules of the galaxy but the laws of biology and social conditioning. Though gender roles aren’t always set in stone, it is true that men and women often bring different strengths, weaknesses and styles to the table when it comes to many things, parenting chief among them. This is important to take note of within couples, because the dynamic is ultimately shaping an infant into a grown person. When we understand how men and women parent differently, we can better understand what the child best responds to and how. This won’t be the same with every partnership. But in general, it’s good to have different forces and priorities at work—it rounds out the child and provides an example on caretaking values. It may also inform their separate relationships with mom and dad. Here’s several ways that men and women tend to differ when it comes to parenting, and why it matters for children. This might not always be true, but it does speak to the stereotypical strengths of men and women both personally and professionally. Women are known to be strong, detail-oriented multi-taskers, where men tend to dominate leadership roles, build morale, and think about parenting from a big picture perspective. This may be why moms focus on the everyday details, like scheduling and chores, while dads act as both buddies and authoritarians — roles that build character and confidence. Dads and moms play differently too, and the ways the play differs may have to do with the values men and women tend to cherish. One example, posed by Glenn Stanton in his book Why Children Need a Male and Female Parent, is the dichotomy of lessons imparted by men and women through play. Fathers emphasize competition, while mothers emphasize equity. Both are important, and one without the other, Stanton argues, could be unhealthy in the long run for a child. The competition and equity equation further sheds light on how experience shapes parenting. Men, who are taught to be competitive and take risks, teach their kids (both male and female) to take risks too. Women are taught to protect themselves and treat others fairly, and pass this lesson on to children for safety reasons. With these two perspectives combined, kids can learn to be be competitive but fair, and take risks while understanding consequences. Both mothers and fathers are capable of being strict disciplinarians, but it perhaps comes more naturally to the father, if only because mom is the chief nurturer. Cautious mothers prioritize comfort and security for their kids, and are sometimes viewed by dads as being “too soft” on children. In these cases it may fall upon the dad to enact law and order in the family. This becomes more apparent as kids get older and into their teenage years. A mom may be more inclined to be the “peacemaker” when things go awry, while dads are more intent on teaching a lesson than making the conflict disappear. The roles could easily be reversed, however, if dad was taking on mom’s responsibilities as the main caretaker, which is increasingly common. Whatever the case, parents need to support one another and provide their children a balance between support and discipline. Ideally, mothers and fathers love their children equally. But generally speaking a woman’s emotional attachment to her kids is stronger, or at least more apparent, than a father’s may be. This has a lot to do with the high expectations moms are held to as opposed to dads, who are relegated to a supportive role. As a result, moms that stay at home can feel emotional and overworked, while working moms feel guilty for not being home. Whatever the case, it’s difficult for mom to detach, or separate work from home. This dichotomy between emotion and detachment is also apparent in the ways men and women tend to communicate with their kids and each other. Fathers are more brief and to the point, while moms tend to dig deeper. This doesn’t mean that moms are over-involved and dads under-involved, just that a parent’s experience and role in the family is likely to affect his or her ability to detach. Ideally, fathers could take some of the emotional weight off of moms, and moms would encourage this when given a chance to step back. This article was originally published on HuffingtonPost Blog. Parenting is a lifelong commitment — and a challenging one at that. Back when I first became a mom, I remember thinking how my kids should have come with instructions, a kind of step-by-step parenting guide to follow. Parents-to-be can prepare all they want, but raising children, I discovered, is mostly learned on-the-job. There is no special formula to follow if you want to be a good parent. As parents, we’re bound to have missteps, being the humans that we are. And amid the day-to-day grind of keeping your kids healthy, happy, and safe, we all err here and there. Below I discuss counterproductive behaviors that parents engage in (often without realizing it). Telling someone that the way they feel is “ridiculous” or “absurd,” etc. Put down your phone! I know…we’re all guilty of this one. When you are spending time with your children, spend time with your children. If you are watching your daughter’s soccer game, actually watch her soccer game. Your kids can tell if you’re not really listening or paying attention. Don’t prioritize Facebook, work-related emails, and the like over your children. Put away digital distractions when you’re hanging out with your kids. They deserve your undivided attention. Since 1995, women in big decision roles in large companies have netted minimal gains in closing the gender gap. 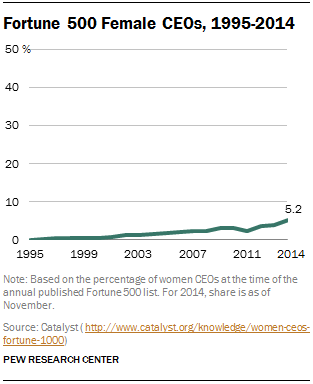 As of June 2015, only five percent of Fortune 500 companies were led by women, which in hard numbers is a whopping 24 female CEOs — the number has since dropped to 22. Not to mention women still make 78 percent less than men. 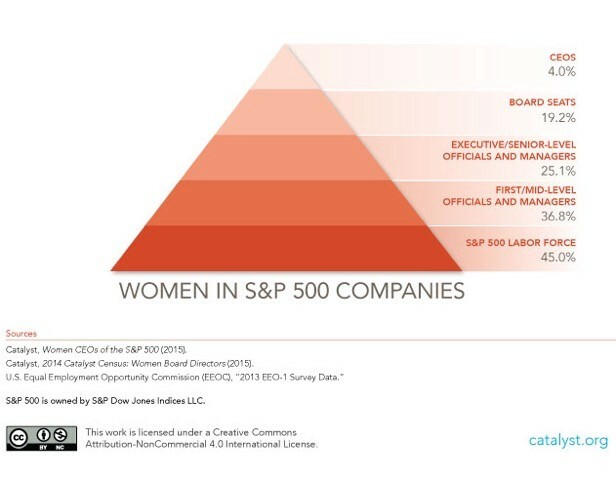 When I wonder what the world of business and philanthropy would look like if even 50 percent of big companies had female leadership, it’s the subtle differences that are most striking. In order to talk about gender discrepancy, it’s hard to discount innate gender distinctions. What would women bring to the table if they were 95 instead of five percent of the Fortune 500 landscape? A lot. Not only do female entrepreneurs prove savvy at raising ROIC, women are doing it at ages over and under 50 Another win for women? 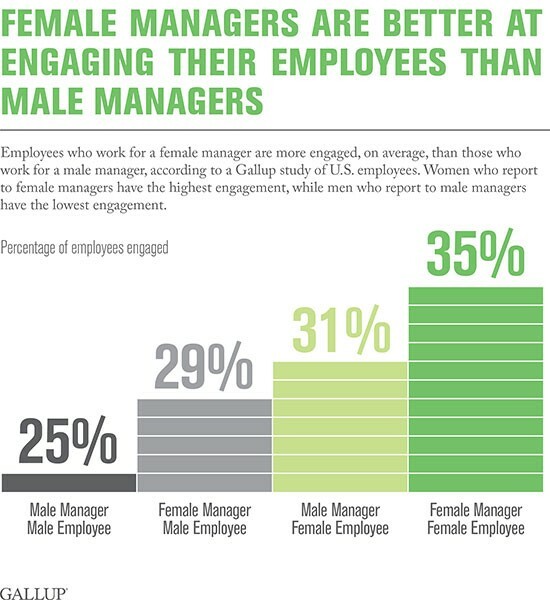 A Gallup reportreveals that women are better at communicating and fostering loyalty in their employees. But what should make female leaders higher in demand is their ability to meet the challenges inside and outside the boardroom. They stay mindful of societal challenges. According to a Forbes article by Geri Stengel, women entrepreneurs are more socially responsible than their male counterparts. Says Stengel, “Successful women are more likely than successful men to own a business so they can pursue a personal passion and to make a positive impact on the world.” And the ability to see the need for charity and philanthropic may be gender specific. Research by WPI’s 2010 Women Give study shows households with single females gave 57 percent more than households with single males, and when women donated, they tended to donate more than men. I think it’s safe to say that women are more philanthropic than men. It’s a sentiment that would most likely carry over to more conscientious business practices. I’d love to see women at the helm of most projects. I think we have even more to offer than these statistics reveal. We are worth more than we give ourselves credit for. With only five percent of women in top positions, we have a long way to go to even get to fifty percent. But in a world where there would be better entrepreneurs, better managers, better philanthropists and a highly adept group of people generating revenue back into Fortune 500 companies — a world of female CEOs looks pretty perfect. Sharon Bush is an accomplished philanthropist who has worked for nearly four decades to bring resources to underprivileged women, children and families around the world. Her altruism and business acumen have had a powerful results, and many global organizations have recognized her humanitarian efforts with awards and accolades.